Made a basic Main Menu to allow players to connect or play on the practice map vs basic AI. Thanks to the Multiplayer Shootout sample project I was able to learn a lot about how to get this to work. It’s not much to look at but it seems to be functional. 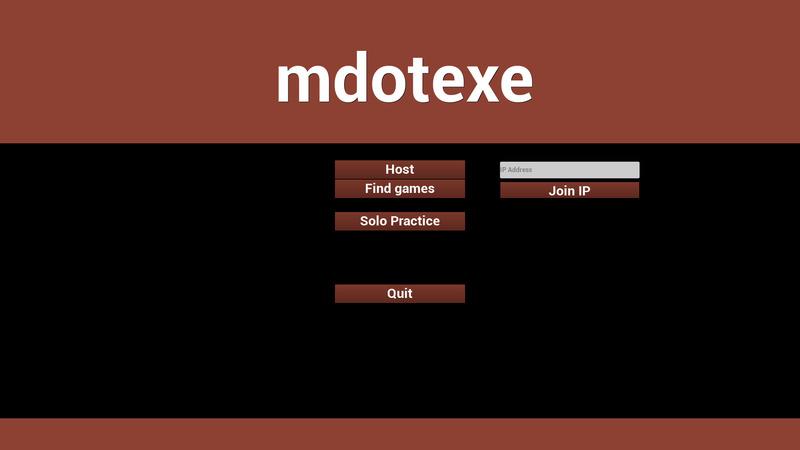 Right now the only way to play Multiplayer is probably by typing in the IP of the player hosting. I won’t know for sure until I package the game and try it though.